Before Jaeger-LeCoultre was formed by the merger of movement maker LeCoultre and watchmaker Jaeger in 1937, there was the Atmos. Invented in 1928 by the talented Swiss engineer Jean-Léon Reutter, the Atmos is the closest horology has to a perpetual motion machine. Trained at the Swiss Federal Institute of Technology at Zurich and the Ecole Supérieure d’Electricité de Paris (Paris College of Electricity), Reutter desired to create a clock that would run forever, resulting in the concept of a clock driven by changes in ambient temperature. 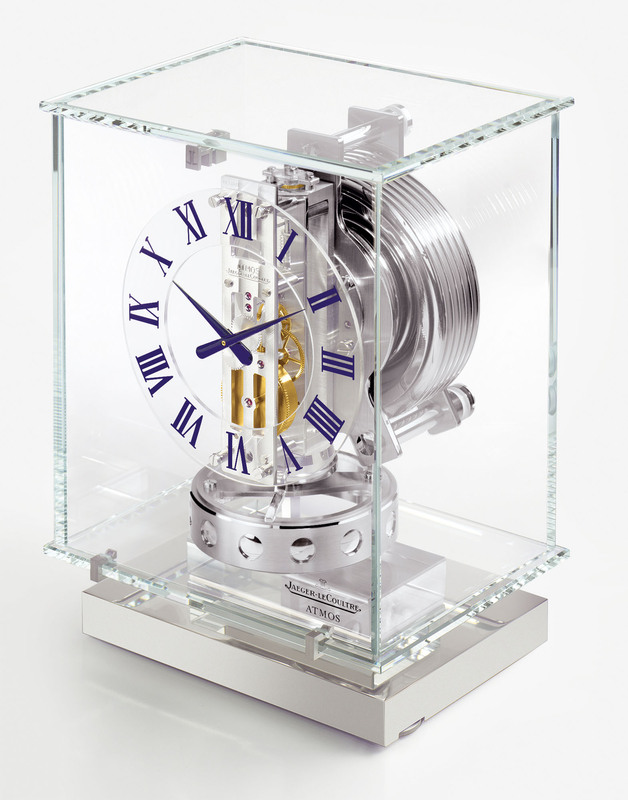 Reutter, however, was unable to produce the clock on a commercial scale until 1932, when he met Jacques-David LeCoultre. LeCoultre became the manufacuterer of this iconic clock, with over 750,000 Atmos clocks having left the manufacture in Le Sentier since then. Though LeCoultre made nearly all the Atmos clocks since its invention, some of the earliest were marked Reutter. Powered by tiny changes in atmospheric temperature, the Atmos runs on an incredibly low amount of energy – it would take 60 million Atmos clocks to light one 15-watt bulb. While Reutter’s ingenious idea originally called for mercury contained inside a glass capsule, now the secret lies in a sealed, cylindrical bellows that contains ethyl chloride, a gas highly reactive to variations in temperature. It expands and contracts constantly even with the slightest change in the ambient temperature. This in turn causes the bellows to expand and contract, winding the mainspring of the clock. Because the balance of the Atmos beats at a languid two oscillations per minute – compared to 480 per minute for an average wristwatch which requires 250 times more energy than an Atmos – a one degree Celsius change in temperature is enough to keep the clock going for two days. The Atmos is an extraordinarily energy efficient timekeeper and in theory could run for decades, if not centuries, without intervention. But of course atmospheric pollution, moisture, wear and tear will eventually take their toll, though Atmos clocks have been known to slowly tick along soundly for 20 or 30 years. 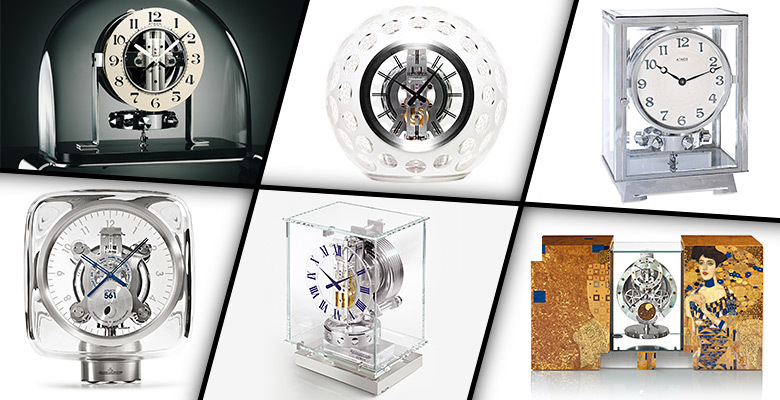 Though the construction and mechanism of the Atmos has remained largely the same throughout its 80 year production, Jaeger-LeCoultre has expanded the Atmos range to a surprising variety of clocks. One of the most stunning and well received Atmos models of recent years is the Atmos 561 designed by industrial designer Marc Newson. 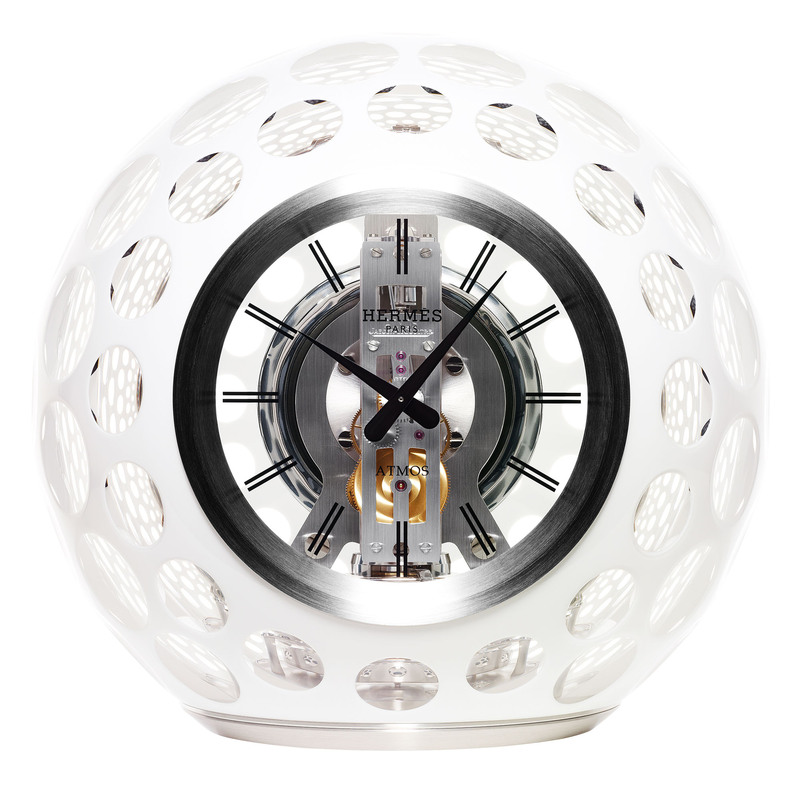 Encased in an ice-cube like Baccarat crystal case, the sleek Atmos 561 looks like no Atmos that has come before. 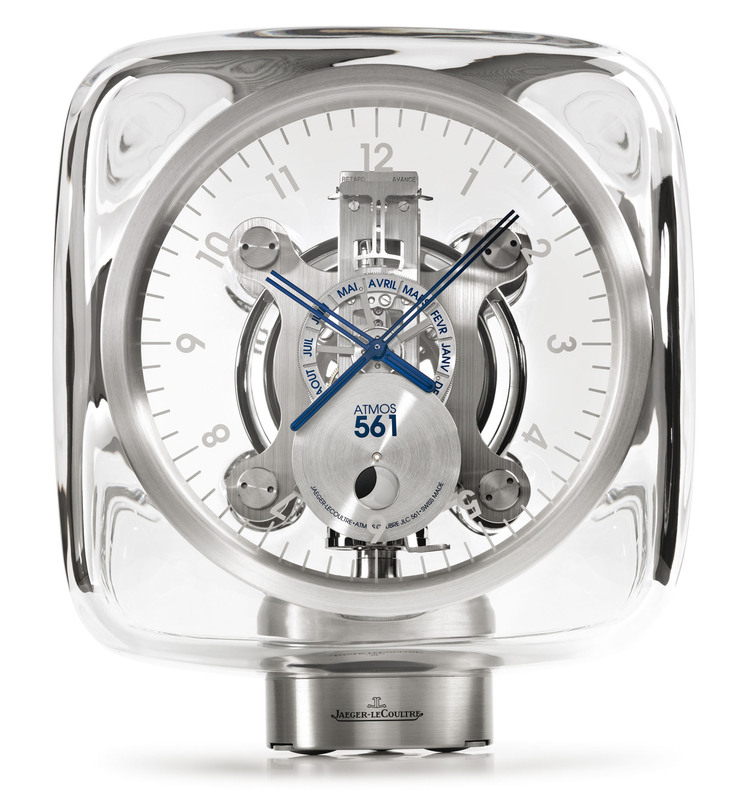 Jaeger-LeCoultre more recently collaborated with Hermes to create a limited edition clock, with the Atmos movement inside a multi-layered, dimpled glass sphere made by Les Cristalleries de St. Louis, the French glassmaker owned by Hermes. At the other end of the design spectrum is the Atmos Marqueterie. 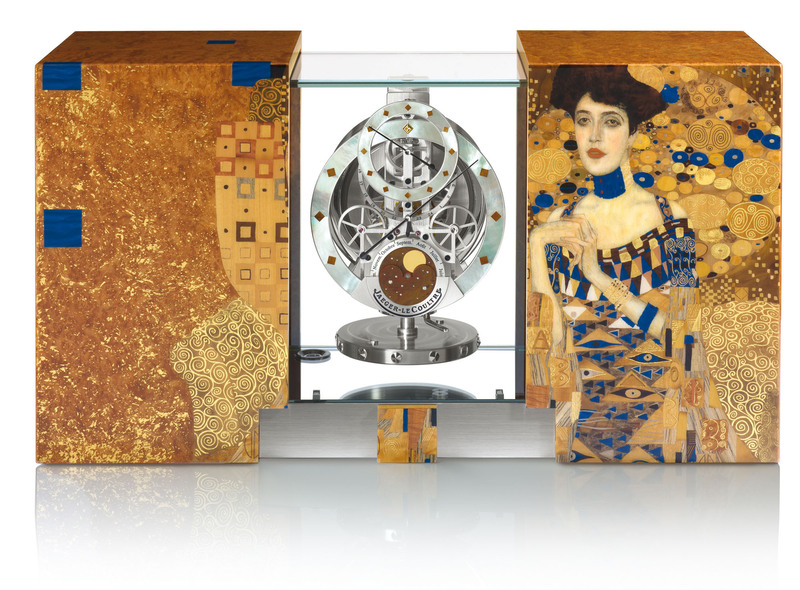 Housed in a cabinet depicting Gustave Klimt’s portrait of Austrian heiress Adèle Bloch-Bauer, the Atmos Marquetrie exemplifies the art of marquetry – tiny pieces of wood and gold inlaid to form a motif. Set against a background of yellow amboynas burr, the Atmos Marqueterie uses rare and valuable woods like Andean boxwood, East Indian satinwood, madrona burr and blue amboyna burr, coupled with three colours of gold leaf, to form the portrait known as Austria’s Mona Lisa. With a gentle nudge, the marquetry panels slide open to reveal the Atmos clock inside. For those seeking something closest to what Reutter and LeCoultre devised in 1932, Jaeger-LeCoultre offers the Atmos Réédition 1930. 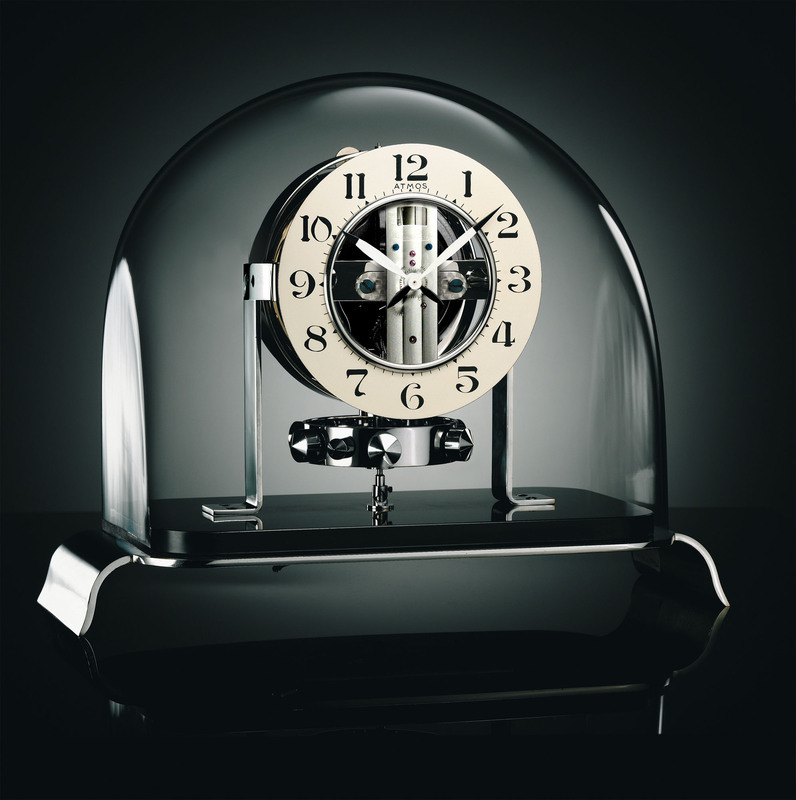 A replica of one the earliest Atmos clocks – some of which can be found marked “Reutter” instead of “LeCoultre” – the Réédition 1930 is an Art Deco-styled clock sitting under a glass dome. Yet the classic Atmos, at least in the minds of collectors and enthusiasts, is the Atmos Classique, having been in production in the same form for decades. 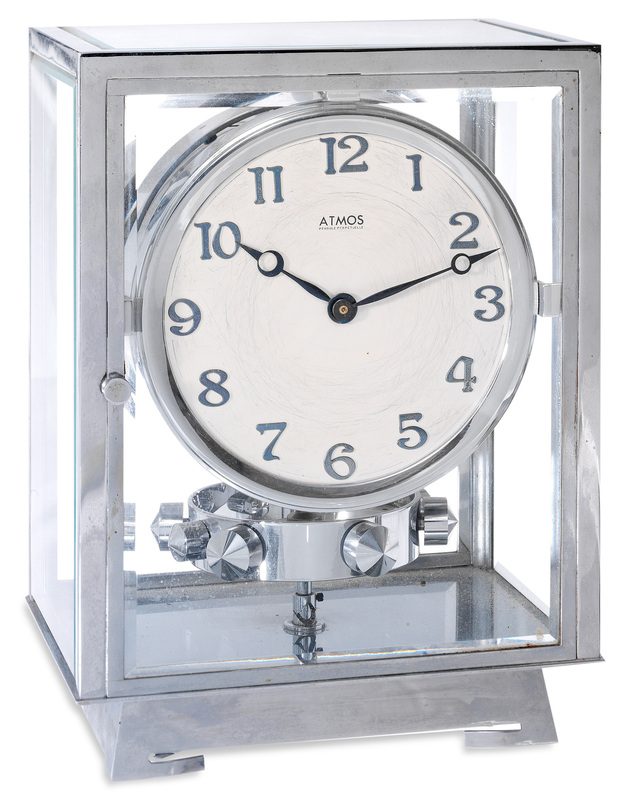 An unfussy clock in an oblong glass case with either a gilt or rhodium-plated frame, the Atmos Classique is the most common Atmos variant and in many ways the quintessential Atmos. 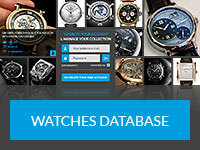 More resources about the Jaeger-LeCoultre Atmos Clock History on Wikipedia.